Feel the rumble of the herd in this exciting safari adventure! 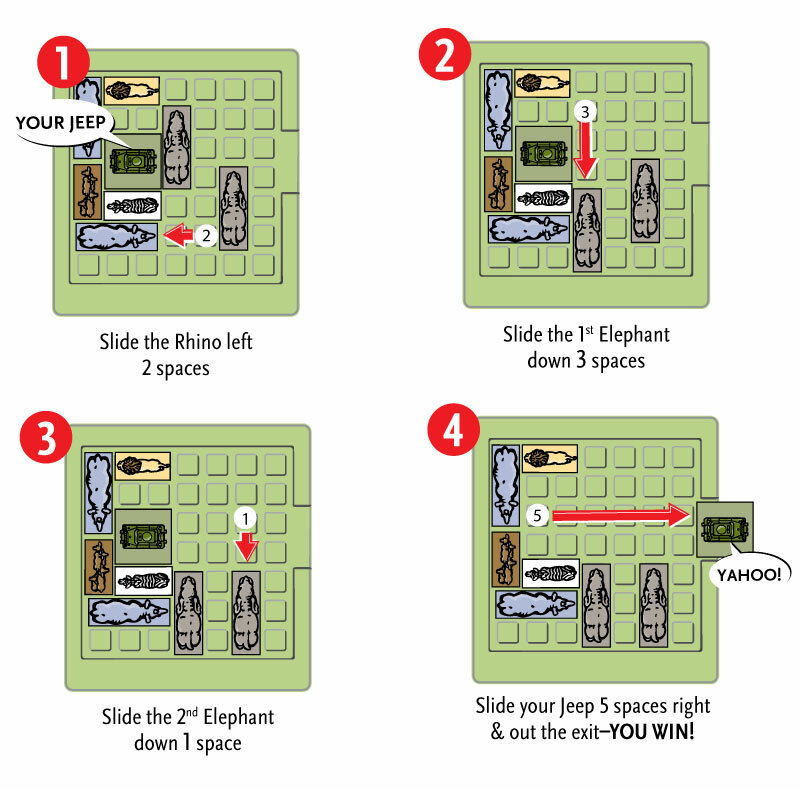 Set up the game grid according to the challenge card, then maneuver your Escape Rover through a safari of wild animals. Rush Hour fans will love the new challenge of the larger 7 x 7 game grid and the Escape Rover that moves in all directions. Safari Rush Hour, as part of ThinkFun special collection of STEM games, encourages children to develop reasoning skills through fun, multi-level challenges.